Ferm Living’s Squares kelim rug is adorned with an attractive, multi-toned square pattern. 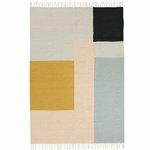 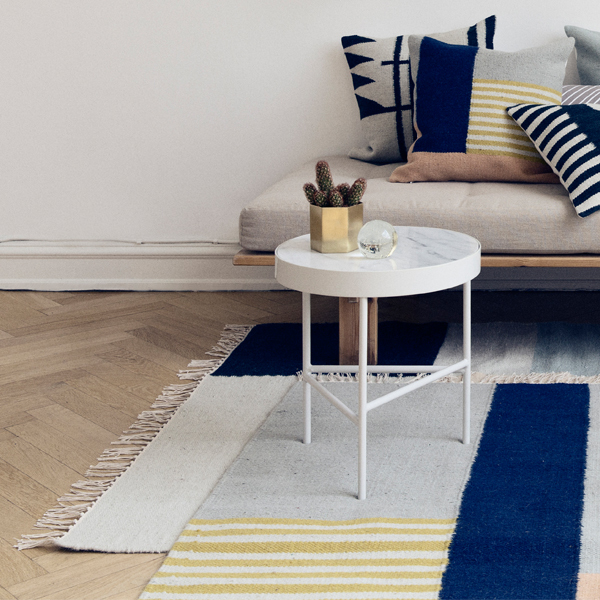 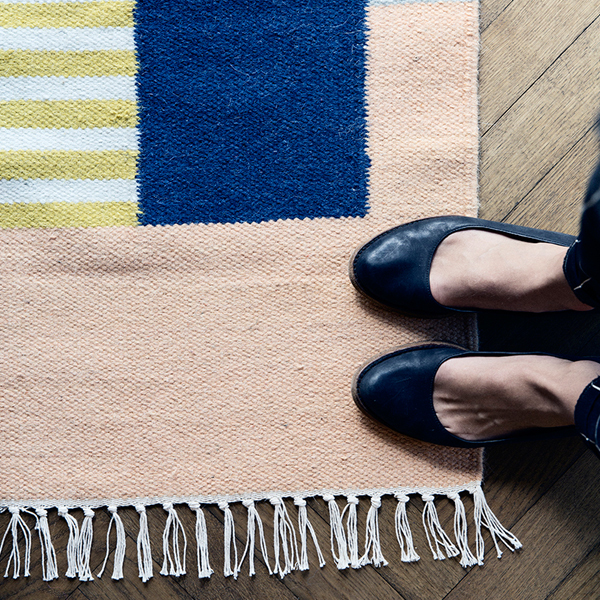 Woven of a blend of wool and cotton, Ferm Living’s kelim rugs combine eastern rug traditions with Scandinavian design. 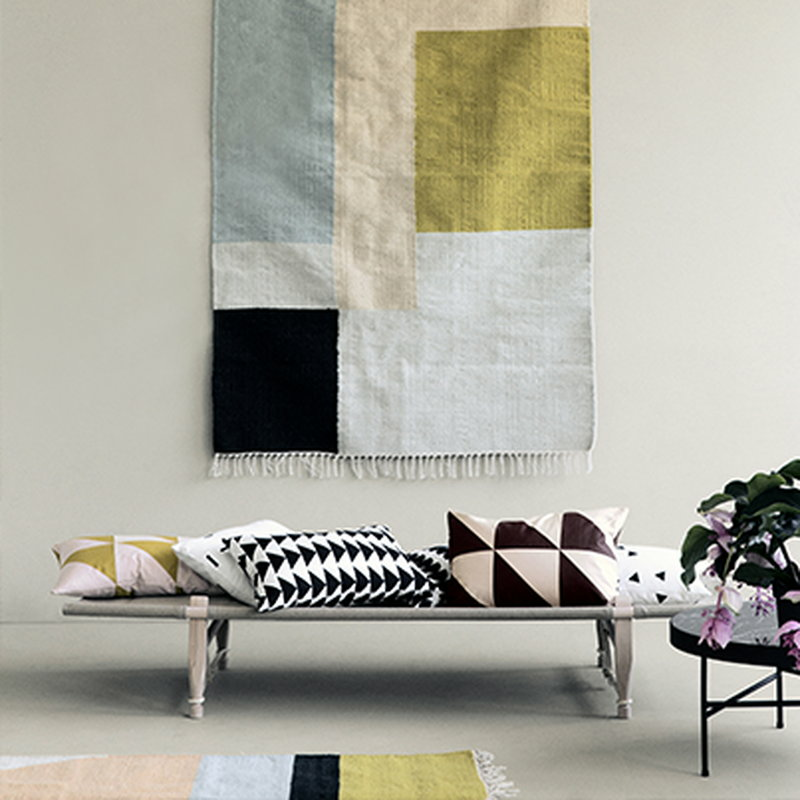 Kelim rugs are unique individuals since they are made by hand with a traditional weaving technique. 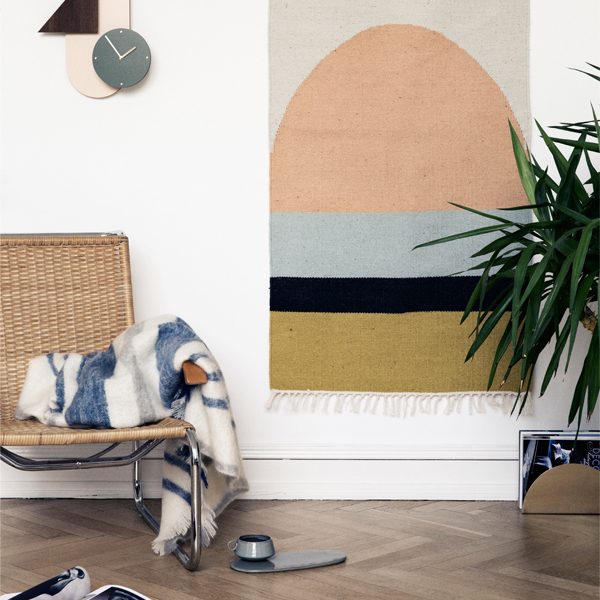 Also, the hand-dyed wool yarn creates subtle variation in the hue and texture of each rug. 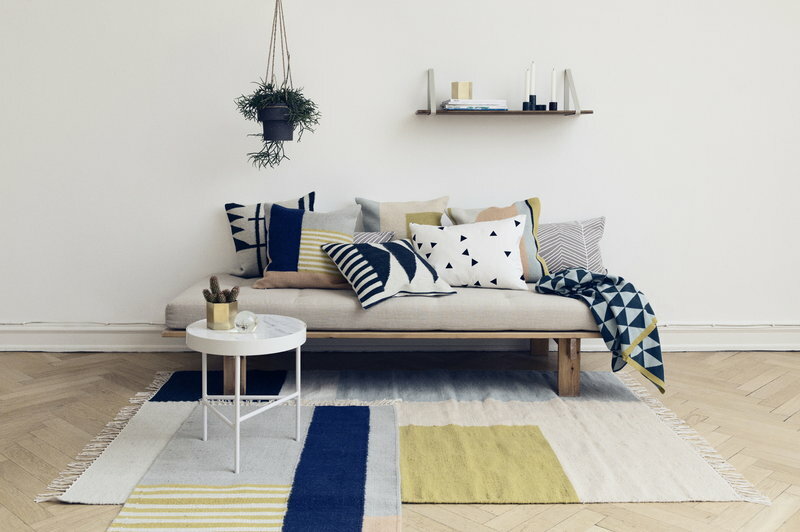 Ferm Living’s supplier holds a Woolmark licence, which is a guarantee of high-quality wool.